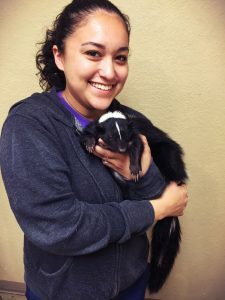 Alicia was born and raised in Tampa, Florida, and has always loved animals! Some of her hobbies include hanging out with her dogs, going to concerts, and hiking. She currently has 5 fur kids: 4 dogs and 1 cat. She loves working in veterinary medicine because she enjoys helping educate pet owners on how to make their own fur kids’ lives even better.